Hi Video Poker friends! 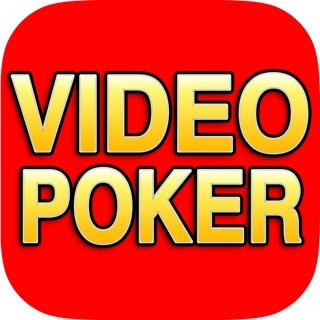 The best video poker app keeps getting better! We have improved the game experience so you can keep enjoying your favorite video poker games, and added even more variations so you'll never run out of options! Download or update now to join the fun! The graphics, music and sound effects are a little different from the casino machines but the game play and excitement are spot on. One minor difference: you always play all four lines. A recent upgrade features cards with a bolder font and classier face cards. Aside from that, it’s a great way to polish your strategy and feed the need for more than just slots. Ironically, you can earn free credits by watching ads for “real Vegas slots!” apps featuring slot machines no one has ever seen in a real casino and endless variations on the “match 3 symbols” game. Oh, and Final Fantasy XV and World War Rising, thanks for the chips but build your own tower. My last review was less than satisfactory. Truth is, I just can’t stop playing it. This game is most probably the best poker game I have played so far and I have played them all. I really like when you play three hands in a row and raising the reward as you move up the ladder. Thanks. I hope you will produce more games such as this one. So addictive I just can’t stop playing it. So many different games to choose from. I recommend this game to everyone. Thank you for the updated review. We're happy to hear you think we have the best poker game. Make sure to check out our Facebook page for exclusive offers and chances to win FREE credits to compliment your experience! Have a wonderful day! I won the royal flush with Multi-Strike and the game froze and never gave me my winnings. I messaged game ap and they only gave me 1,000,000 credits when I should have won I thought 8 million but actually it should have been 16 million. I actually sent them a screen shot with the time and date while it was frozen. The sad thing is I paid for credits shortly before. Beware!!!! © Ruby Seven Studios Inc.